After checking out Mitsubishi Canada’s website, we noticed that the 2015 Mitsubishi Lancer Evolution Final Edition still appears on it, and we can even build the car and get a price quote. Announced in October 2015, the Final Edition celebrated the absolute end of the Evolution Series, which spanned ten generations from 1992 to, well, 2015. The Final Edition is based on the GSR version with its five-speed manual transmission, but output of its turbocharged, 2.0-litre four-cylinder engine was raised to 303 horsepower (up from 291) and 305 pound-feet of torque (up from 300). A direct rival to the Subaru WRX STI, the Volkswagen Golf R and the Ford Focus RS, this commemorative edition also receives a black-painted roof, a front bumper cap and air vents painted in glossy black as well as BBS alloy wheels. Inside, the car gets red contrast stitching and Recaro sport seats. According to the folks at Mitsubishi Motors of Canada, of the 350 units built of the 2015 Lancer Evolution Final Edition, there are still about 38 left. New, with a warranty and a new-car smell. So, if you’ve always wanted to purchase one of these road and track beasts, before it’s gone for good, it isn’t too late. 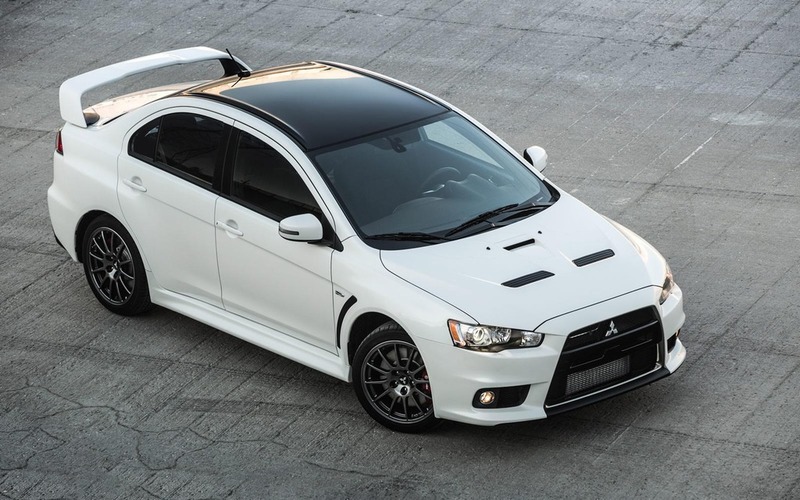 The MSRP of the 2015 Mitsubishi Lancer Evolution Final Edition is set at $49,498 before freight and delivery charges.